Bitter and Twisted boasts the world's top 10 best cocktail menus. You read that right, best in the world, stacked up against cocktail menus from New York City and Seoul. This heavily awarded cocktail parlor is incredible. Their food is tasty, but the cocktails are insanely creative and magical. You know how Cheesecake Factory's menu is a large book? Imagine that but with cocktails. and you have Bitter and Twisted's elaborate cocktail menu. There are so many incredible creations, it's nearly impossible to try them all. 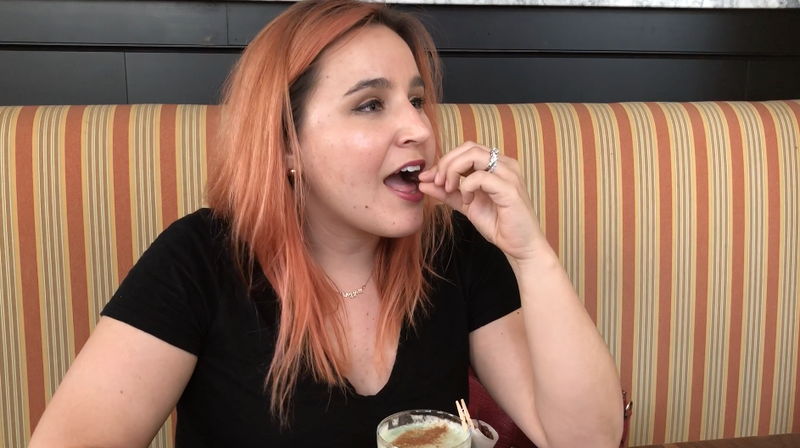 On their new menu is the Green Chapulin. 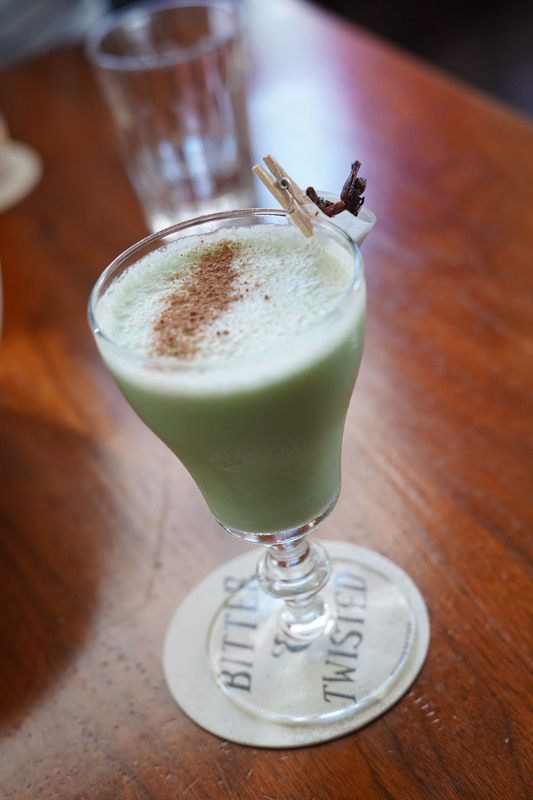 This lush dessert-style cocktail features Ancho Reyes Verde, a sweet chile liquor, creme de menthe, lush cream, chocolate bitters, and Fernet Branca Menta which adds a minty flavor. The cocktail is topped with grasshopper salt, chocolate, and served with spicy salty roasted grasshoppers. The drink itself is velvety smooth and tastes similar to mint chocolate chip ice cream. It's not overbearing in sweetness and the Ancho Reyes Verde adds another note of intricate flavor. Don't be afraid of the grasshoppers- just try it. To me, they tasted like popcorn and were seasoned with something spicy and salty. I really enjoyed the flavor and could easily eat a bowl of them without thinking about it. Bitter and Twisted has the best cocktails in the state of Arizona, and maybe even the world. Their ice is crystal clear, using nano-filtered water that's frozen for 40+ hours and hand carved for the cocktails. A couple other favorites I recommend is the Lime in the Coconut, The Run DNC, and the Old Fashioned.